This is where I stayed when I was in Provence. One of the first things I saw was the bridge, and immediately I started humming “Sur le Pont d’Avignon…” which I learned many years ago during French class in elementary school. I wondered if there were other people nearby who knew the song so we could sing it in a round. 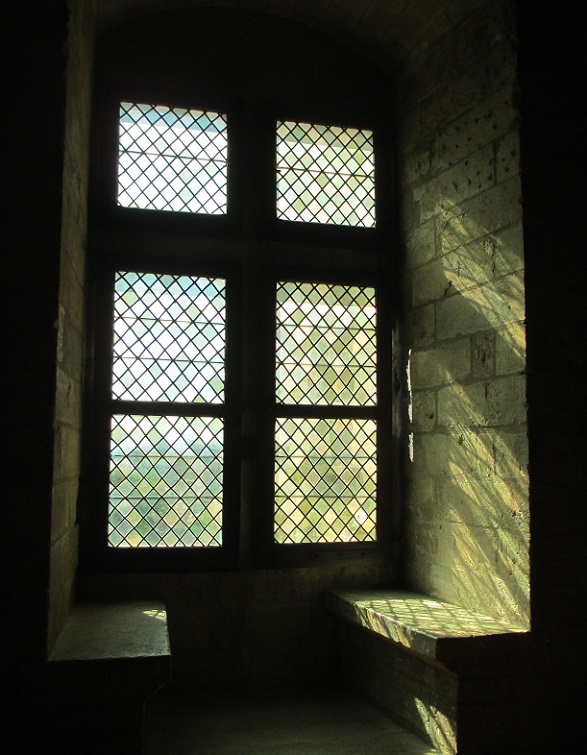 I also visited the Palais des Papes and learned about that aspect of the city’s history. It was interesting to see all the different room displays and admire the impressive building. I did a little shopping for souvenirs too. Since I was in Provence in May it was too early to see the lavender in bloom. Instead I had to look for lavender in stores featuring soaps, sachets and other scented products. This was not a problem. Here are some other scenes I noticed as I walked in Avignon. This entry was posted in Avignon, France, Travel and tagged bridge, lavender, palace, Provence, souvenirs, walking. Bookmark the permalink. Oh how I love Avignon! I hope you had a great time and that the weather was agreeable! I had a fantastic time and the weather was sunny and mild. I’d like to go back during lavender season! We just returned from Avignon and ate at least 100 pounds of escargot while we were there! Beautiful place. It sounds like you had a great time there – It’s really a splendid place! Beautiful photographs, Meg– especially the bridge and the delicious lavender– I am sure you had a lovely time there. Thank you – I did have a great visit! And did you eat a Papeline??? It looks like your trip was magnifique! I didn’t but I am definitely going there again so I’ll have another chance. Avignon is très belle! Looks like you are having a wonderful adventure. Lavender is one of my favorite scents. What a wonderful way to fill your senses and bring back the memories of this trip. Will be fabulous this winter when we all miss the wonderful fragrance of spring and summer. Can’t wait to see where you take us next. I agree that winter is a perfect time to enjoy lavender and remember the summer. I’m trying to decide whether to write about Spain or France next! What a Beautiful Place – loving your captures – thanks for sharing! You’re welcome – it was very special and I really enjoyed being there! Thanks Patti – I’m glad you enjoyed the tour! Oh, Meg, this is such a lovely series of photos! I love singing that song at school too. What a pretty bridge it is. :) I so enjoyed your lovely photos. You’ve got that little ditty going round my head now! It looks as if your weather was beautiful. It is quite a catchy tune isn’t it? The weather was lovely – it made the day even more memorable! The sky was an amazing color – it provided such a contrast to the buildings! I saw such pretty tablecloths when I was there and I’m sure you’re glad you brought one home. Avignon is a beautiful, impressive place! 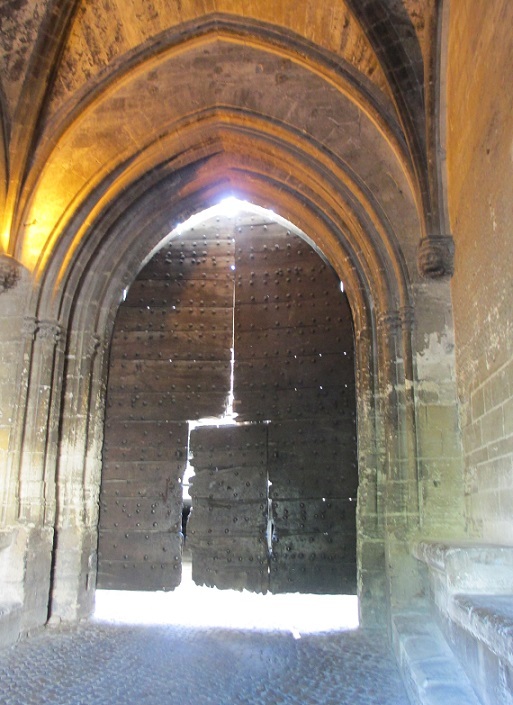 The Palais des Papes is a very interesting place to visit and Avignon is fantastic! That’s a solid looking palace, Meg. I should have checked to see if anyone else looked like they wanted to sing. I’ll have to remember to do that next time I’m there! Avignon looks wonderful. I love the old European cities. So much history. Le Pont d’Avignon looks amazing. Yes, I would be humming as well. Wonderful and I’m impressed you had French lessons in elementary school. Thanks – I’m happy that I still remember so much of what I learned in class! I loved Provence – and Avignon is such a wonderful town to visit! I couldn’t help singing Sur le Pont d’Avignon when we were there either – I even talked my younger daughter into dancing on the bridge with me! Avignon is one of my favourite places, especially when the festival is happening! It’s one of my favorites too – the festival sounds fantastic! What a lovely photo parade presenting Avignon. BTW, the song “Sur le Pont d’Avignon” was the first song which my children learned in French school in Helsinki. Avignon and its massive Palace of the Popes is a wonderful place to visit. Did you stay in the city center? I am happy to see that many people got the chance to appreciate the beauties of Avignon. Now a student in Paris, I’ve been living 10 minutes from Avignon for 20 years ! I hope you got the chance to visit the village Les Beaux de Provence, one of the most beautiful village in France ! Provence in on my list but you make me wish I was there right now. 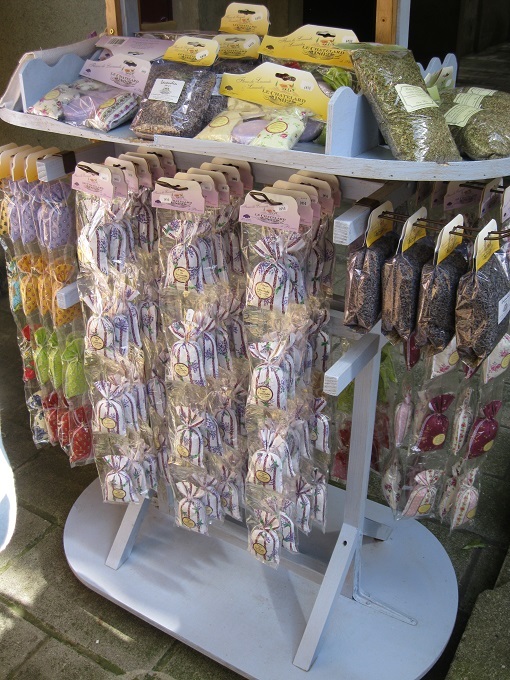 I can’t tell you how much I love lavender and I order from a company in Provence. Their creams have that lovely lavender scent that instantly relaxes me and makes my face feel so refreshed. It’s interesting how places remind of us songs and vice versa. Sometimes it’s because we used to listen to a song at a certain place (for me, England 1970 and “Leaving on a Jet Plane”). Then there’s the time I couldn’t stop humming “O Canada” on a flight from Philly to Toronto on Air Canada—all the while hoping I wasn’t humming loud enough for my fellow travelers to hear. That’s a good point – a song can remind you of a place. I have music I always listen to when I start a trip and now that has become part of my travel routine! I thoroughly enjoyed this post – one day I hope to visit Provence. Perhaps you can feature more about this fabulous place next time you visit? 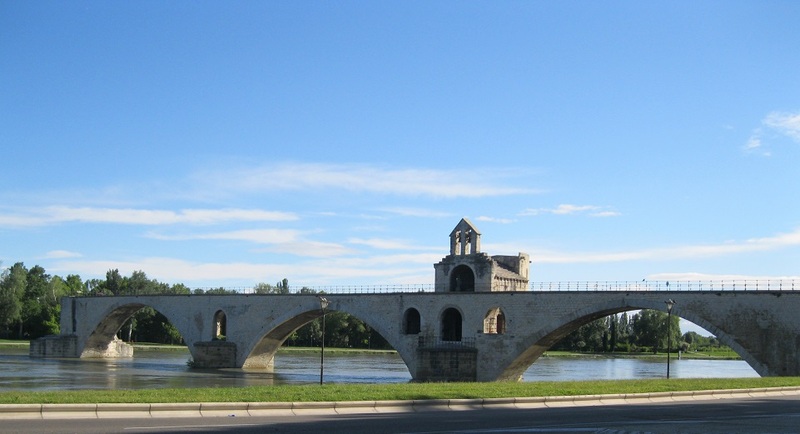 I can hear this song in my head, it is my son’s favourite “Sur le pont d’Avignon…” He even does the bow and curtsey.